Since starting my blog I have become fascinated with photography. And as my little blog has progressed I find myself trying to take better and better pictures. Taking good pictures can sometimes be tricky especially when the only camera you are using is your iPhone! Yes, eventually I will be investing in one of those beautiful DSLR cameras, but until then I make do with what I have. But lets get back on topic! I find that taking good pictures take a lot of practice, editing and patiences and sometimes learning a few new techniques! 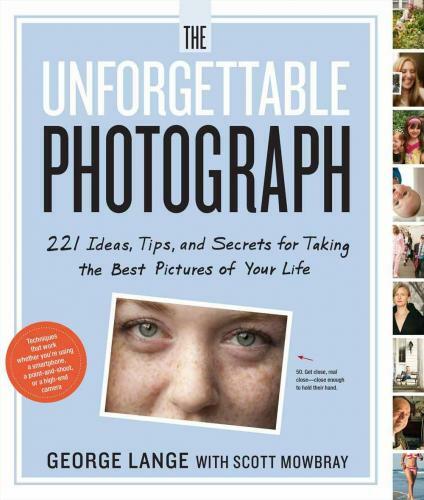 That is why I was thrilled when Cooking Light Editor Scott Mowbray put together a book giveaway for the Cooking Light Bloggers, to promote the book The Unforgettable Photograph, 228 Ideas, Tips and Secrets for Taking the Best Pictures of Your Life, that he published! The techniques in the book will work with a simple point and shoot camera, fancy high end camera or even your smartphone! So who is ready to win a copy of The Unforgettable Photograph? Ready to learn how you can enter to win your very own copy? Heres how to enter the giveaway. You have 3 ways to enter! 1- Leave a comment below telling me about the best picture you have ever taken. 3- Bonus Entry - Follow Brunch and Cupcakes on Facebook and leave a comment below that you are a Facebook follower! The giveaway will end Next Monday 12/16. I will announce the winner on Tuesday 12/17! Ahhh, I need to get back into photography. During high school & college, I took a ton of pics. This is one of my favorites - the timing was perfect with the sunset and the birds. Of course I follow you on Fbook. The best photo I ever took was of Sawyer making just the cutest face in his stroller. I still love it to this day.